Shenzhen Marathon organisers said more than 250 competitors caught cheating in Sunday’s half-marathon will face penalties, with as many as 18 facing lifetime bans from the event. Infractions included racers competing wearing fake bibs, running on behalf of other competitors and taking short-cuts. Chinese state media on Thursday called the episode “deeply shameful”. Culprits were caught out by traffic cameras and local photographers. One video showed a number of competitors emerging from a bush after shaving a vast section off the course. One traffic camera caught racers performing a U-turn at least one kilometre before they were supposed to, potentially shaving about 10 per cent off the 21km race. The report added: “No matter the participants or the organisers, they should reflect: What is the significance of participating in and holding marathons? 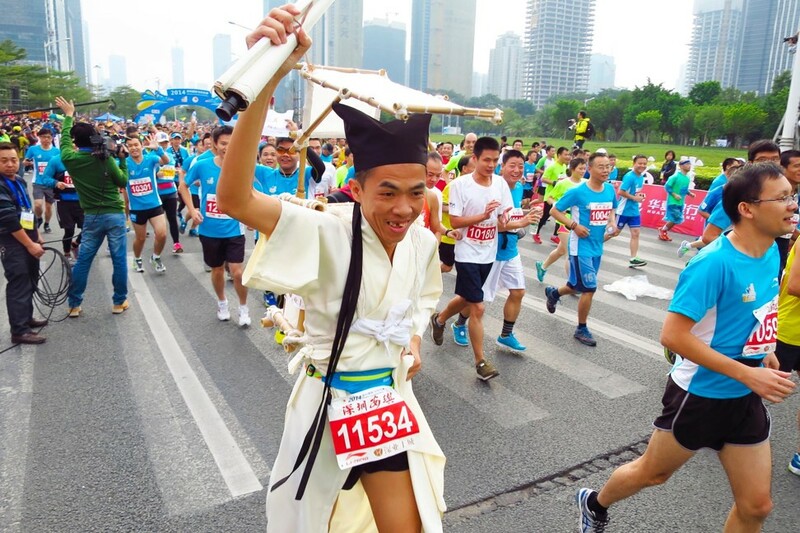 Runner He Yinli unwittingly sparked a national debate about patriotism after an overly enthusiastic volunteer darted onto the course to hand her a Chinese flag as she vied for victory at the Suzhou Marathon earlier this month. Other events in China have attempted to tackle the problem of dishonest racers by using facial recognition technology to track runners, and installing electronic chips in the bibs of competitors that register each racer’s progress throughout the contest, allowing organisers to monitor and root out irregular timings.